This month’s theme is DUDE. I'm so happy you're hoppin' along! If you haven't seen a Journey Coach talking about Rainbow Bubbles this week, then you are missing out. 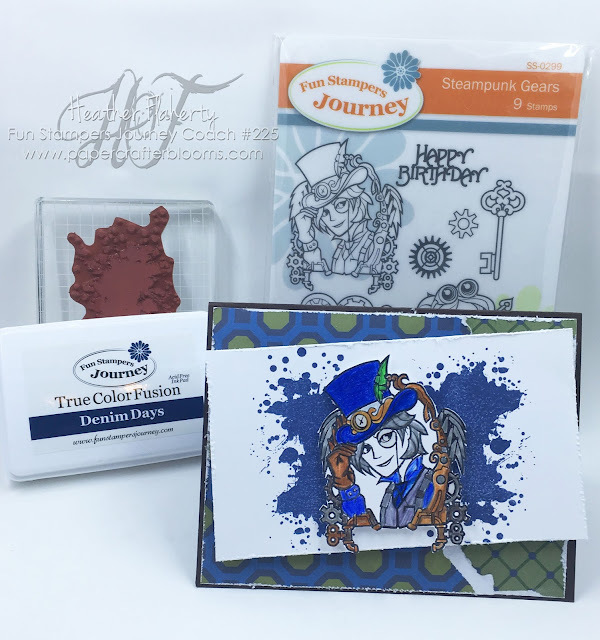 Read my post HERE about this FABULOUS Stamp set. 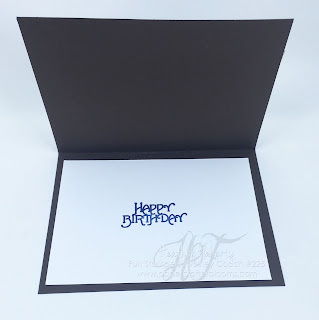 For this card I used, Whip Cream Cardstock for the Card Front, and Riverstone for the Card Base. Using Journey Splash (Lemon Grass and Cool Pool) I filled little containers half-way with water then added about 3 sprays of the splash into the container. 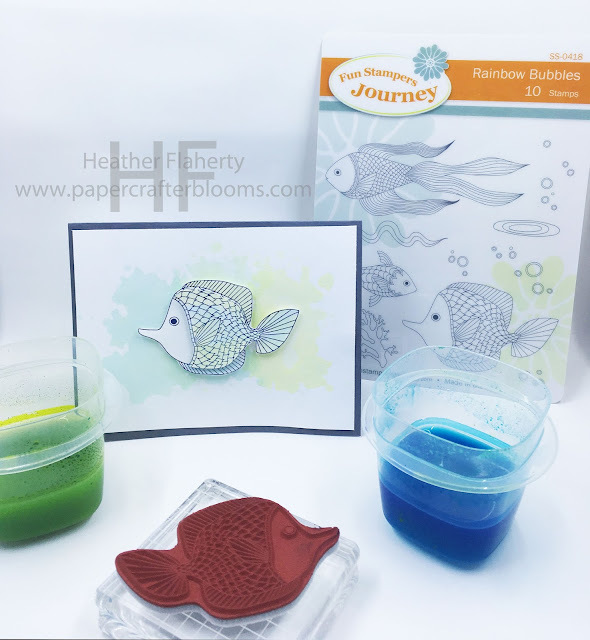 Next I stamped my background image by using a paint brush to color the background stamp Ink Splat. 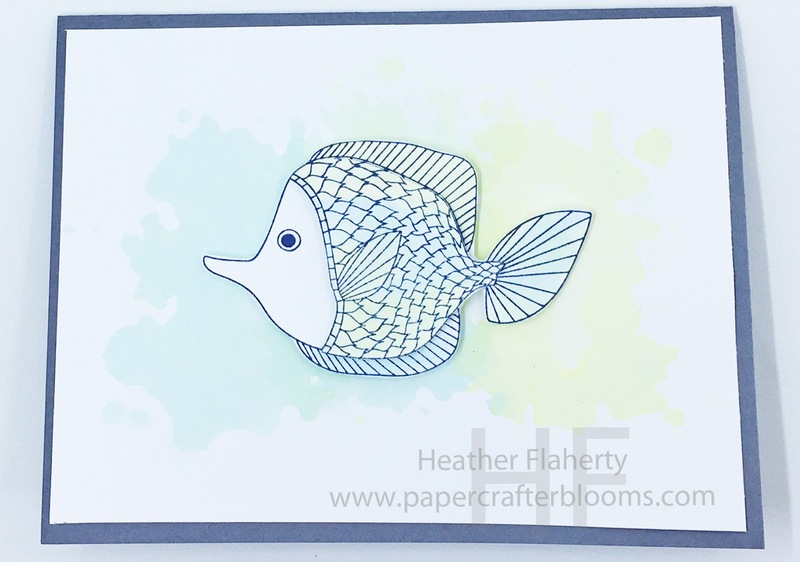 I then stamped the large fish from the Rainbow bubbles stamp twice onto whip cream cardstock unsing Denim Days. I used the same water color technique and then applied my heat gun to the whip cream cardstock to help it dry quicker. I then fussy cut both fish, the top most layer only the body fin of the fish and popped it on top of the bottom layer. I then water colored it as well with the Journey Splash and then used Medium Foam Adhesive squares to adhere to the card front. I colored the Steampunk Image with Journey Color Burst Pencils, then fussy cut the image out. I applied Journey Glass to the monocle, several buttons and glass items on the image. 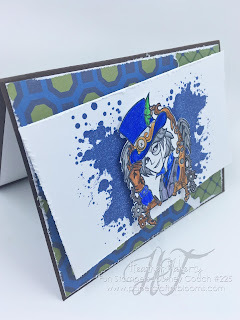 Using Denim Days and the Ink Splat Stamp I created a background. 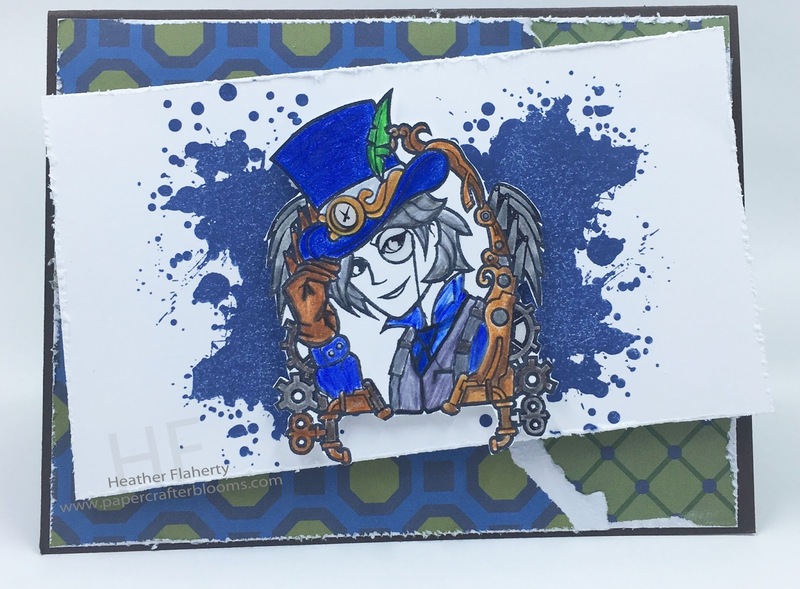 It in my opinion gives the illusion of wings on the steampunk image, not intentionally, however I love the look. I then used my scissors and distressed the edges of the whip cream cardstock. I stamped Happy Birthday on an additional Whip Cream panel on the inside of the card in Denim Days. Super cute cards! 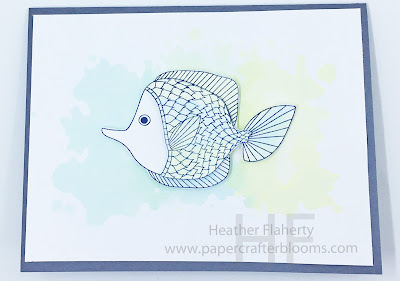 love the water color technique.